Recently, SAP released SAP Predictive Analytics version 3.3. Details on what is in this release can be found on the blog Announcing the release of SAP Predictive Analytics. This release touts new support for Python. Python is one of the most used languages for machine learning and is well equipped in numeric calculation. 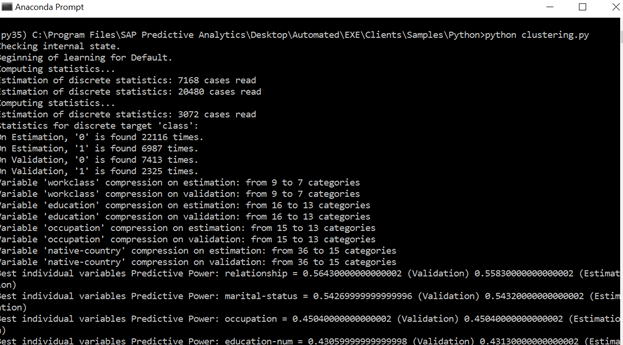 Embedding predictive analytics libraries into a Python application is a natural progression for SAP Predictive Analytics. 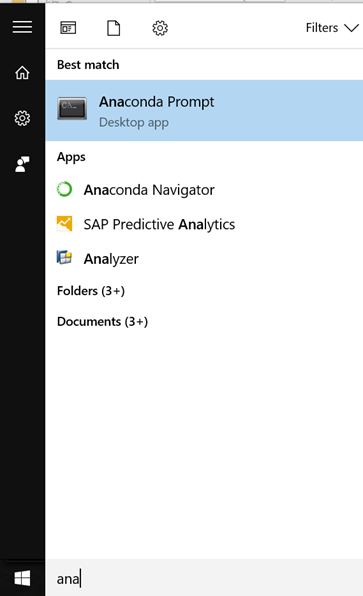 In this article, we will take you through setting up the SAP Predictive Analytics Automated Analytics library with a Python environment on Windows. 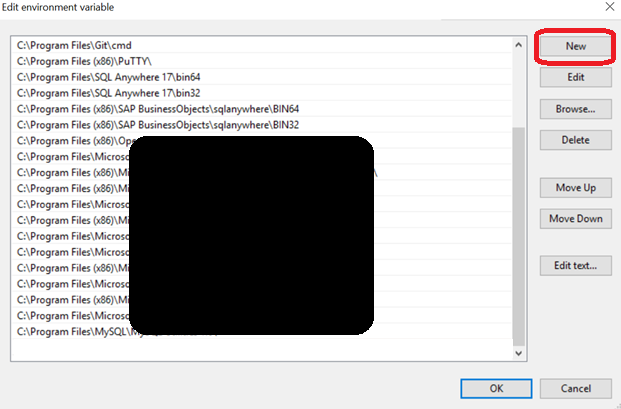 Note: You can also embed the SAP Predictive Analytics library into C++ and Java applications. There are many web sites identifying the business benefits of Python. Here are some of my favorites which those of you working in data science may also appreciate. I encourage you to do an internet search on “business benefits of using Python” you may find other reasons that resonate better for your situation. Additionally, for those who are leveraging the segmenting feature for forecasting in SAP Predictive Factory, using Python could be used to accomplish the same functionality with other types of predictive models. What type of use-cases could include predictive analytics into an application? Alerting insurance agents on cases that have 90% chance of fraud. Additionally, there are perks for SAP Partners described in the article on Becoming an OEM partner has its benefits. First you will need to get Python. The Anaconda distribution is very popular for Python and you can download it from https://www.anaconda.com/download/ . 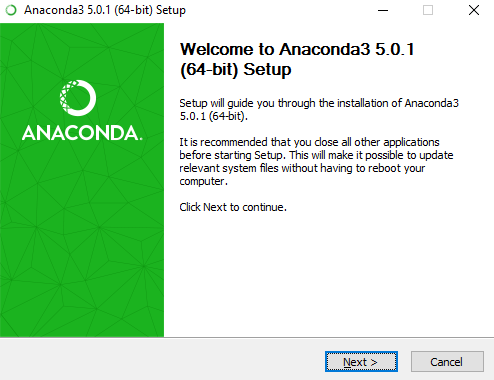 The default Anaconda install currently installs Python version 3.6. 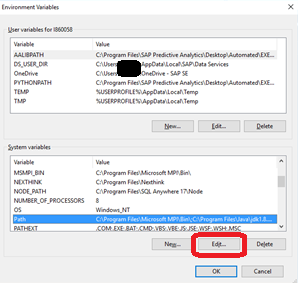 SAP Predictive Analytics requires Python version 3.5. To download this version with Anaconda, download Anaconda version 4.2 which uses Python version 3.5. Anaconda 4.2 can be found on this URL. If you download this version, then you will not need to manage versioning with environments as the instructions below state. I will continue using Anaconda3 5.0.1. Install Anaconda using the graphical installer using the default options. 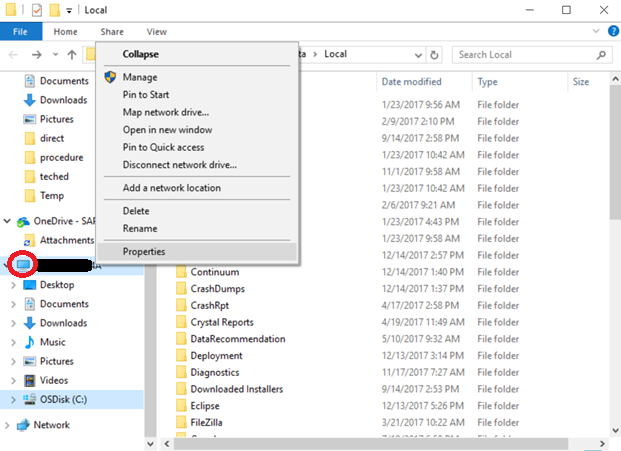 Open the environment settings for your computer. 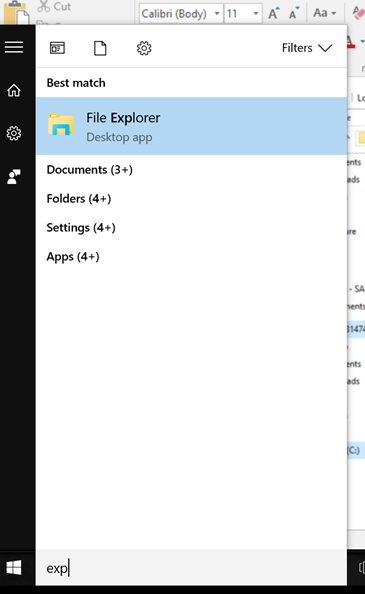 Press the Windows start button and type “explorer”, click on the “File Explorer” icon the appears as shown below. Right click on the computer icon circled in red below and select the “Properties” option in the pop-up menu. 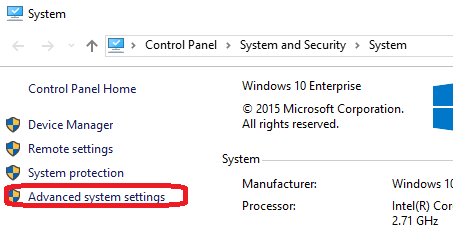 Click on the “Advanced system settings” option circled below. 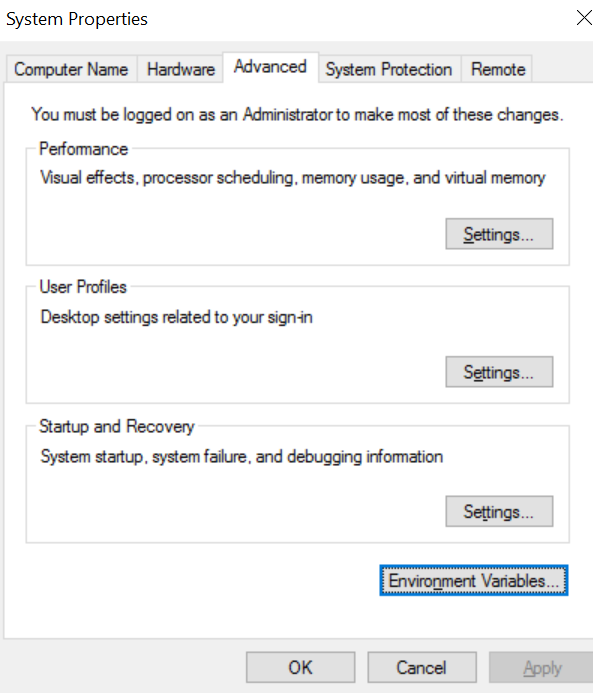 Click on the Environment Variables button highlighted below. Add Python environment to your Windows computer. Press the ‘New’ button boxed in red below. 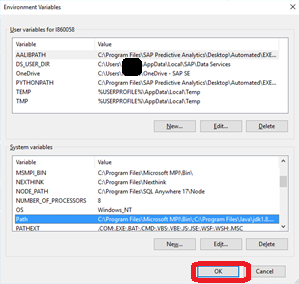 Type ‘PYTHONPATH’ for the variable name and ‘C:\Program Files\SAP Predictive Analytics\Desktop\Automated\EXE\Clients\Python35\’ for the variable value. Then press the OK button. Again, press the ‘New’ button boxed in red below. Type ‘AALIBPATH’ for the variable name and ‘C:\Program Files\SAP Predictive Analytics\Desktop\Automated\EXE\Clients\Python35\’ for the variable value. Then press the OK button. Select the ‘PATH’ system variable by clicking on the PATH entry in the lower dialog which is highlighted in blue (you may need to scroll down). Click on the lower Edit button circled below. Click on the New button boxed in red below. This action will add a row to the bottom of the PATH editor. 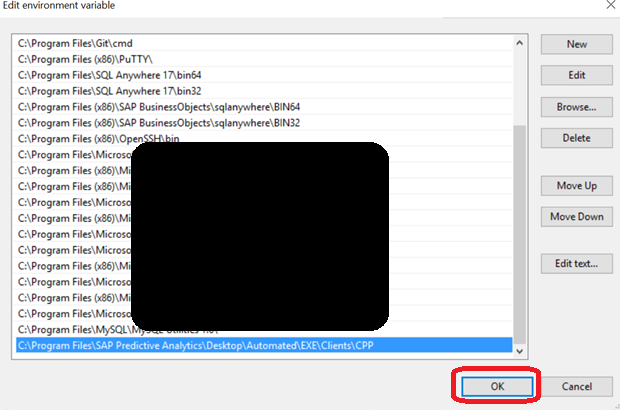 Enter ‘C:\Program Files\SAP Predictive Analytics\Desktop\Automated\EXE\Clients\CPP\’ for this new row and press the OK button circled below. Press the OK button circle below. To launch the Anaconda command line, press the Windows start button and type “anaconda”, then click on the “Anaconda Prompt” icon the appears as shown below. Congratulations you are ready to work Python with SAP Predictive Analytics Automated library! You should see the following graph plotted (It may take a few seconds to render). Some Python lovers prefer command line, while others like Python graphical tools. If you are a command line person, you are ready to work with SAP Predictive Analytics and Python. If not, your next step would be to setup a Jupyter Notebook for a more interactive experience. I have an article on this topic as well. You may also want to connect with your HANA database from your Python code. 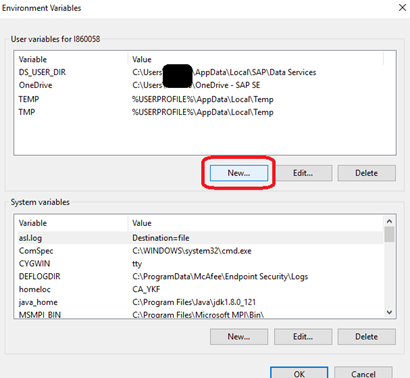 The article “Connect to SAP HANA, express edition using Python” will help you get this setup as well. Additionally, there is a blog on connecting Python to SAP HANA on the Cloud. 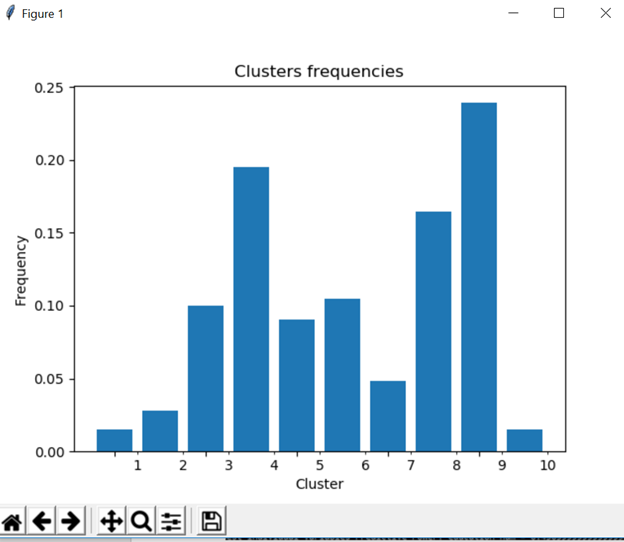 Another blog series on SAP Predictive Analytics and Python is posted. Marc digs much deeper into the different levels of the predictive processes with Python. I am sure you will enjoy!